It’s most comfortable to put recycling containers into drawer. I believe that some of you have read an article in 15min (it's in lithuanian) that was prepared by me separately for recycling. 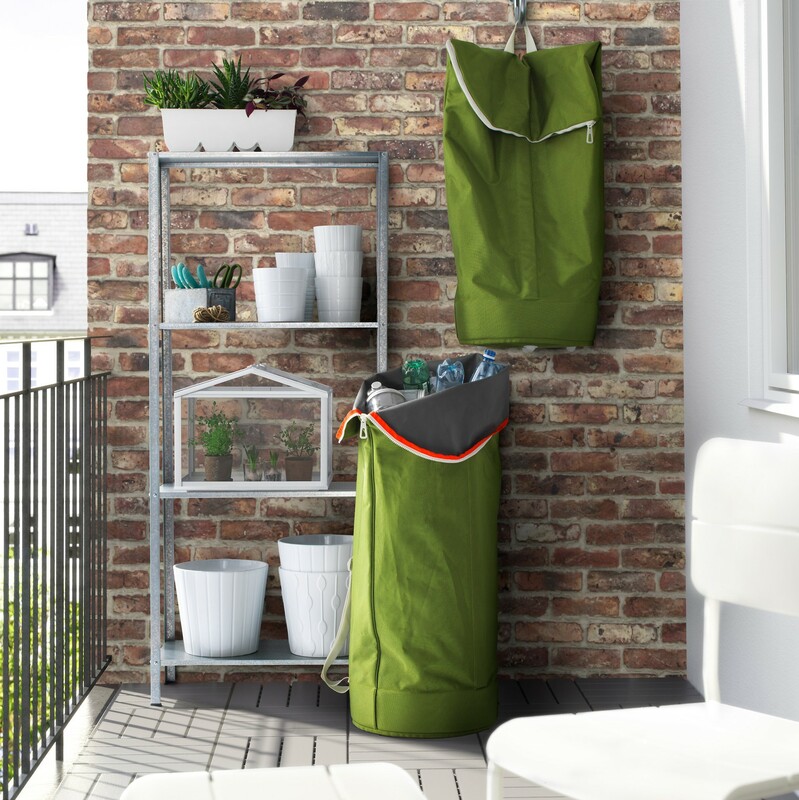 As far as the new deposit system had not begun back then I was asked to share the ideas about how to stylishly recycle waste at home and find space for it. I believe that this topic will be much more relevant in future because more and more people feel responsible for the environment. It’d be nice if you wrote at the end of the article if you recycle. If yes – how is it and how do you find space for that? If not, why? If you want recycle in good faith you’ll need 5 storage containers. You’ll throw household waste to one of them, for example, food remains, to another one – glass, paper, plastics and package. 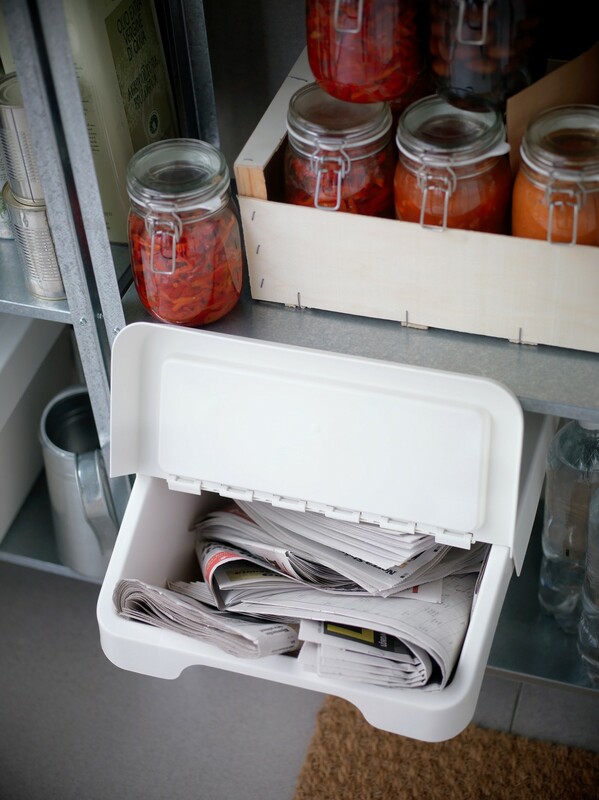 Paper storage takes least space. Paper package easily folds, therefore, a big quantity of paper waste can be accommodated into a relatively small container. Of course, everything depends on the consuming habits of each person and the factor of which packages are used for food, drinks and other products that they buy. Plastics or package that cannot be rumpled will probably take most space. 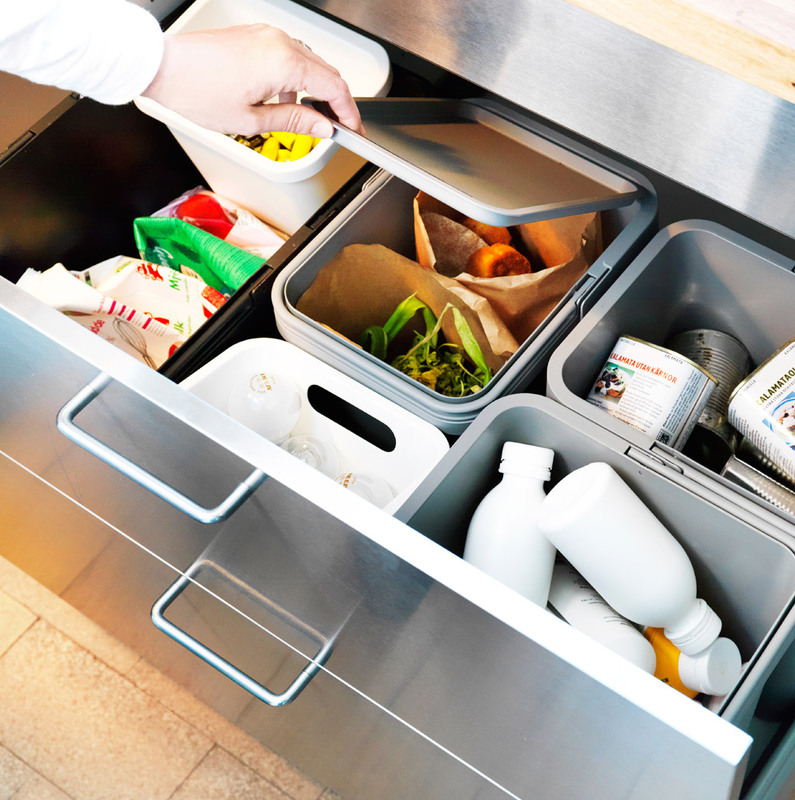 Usually household waste is thrown into a cabinet under the basin, therefore, if the cabinet of your basin is rather wide (let’s say 120 centimeters), all 5 recycling containers can fit there. 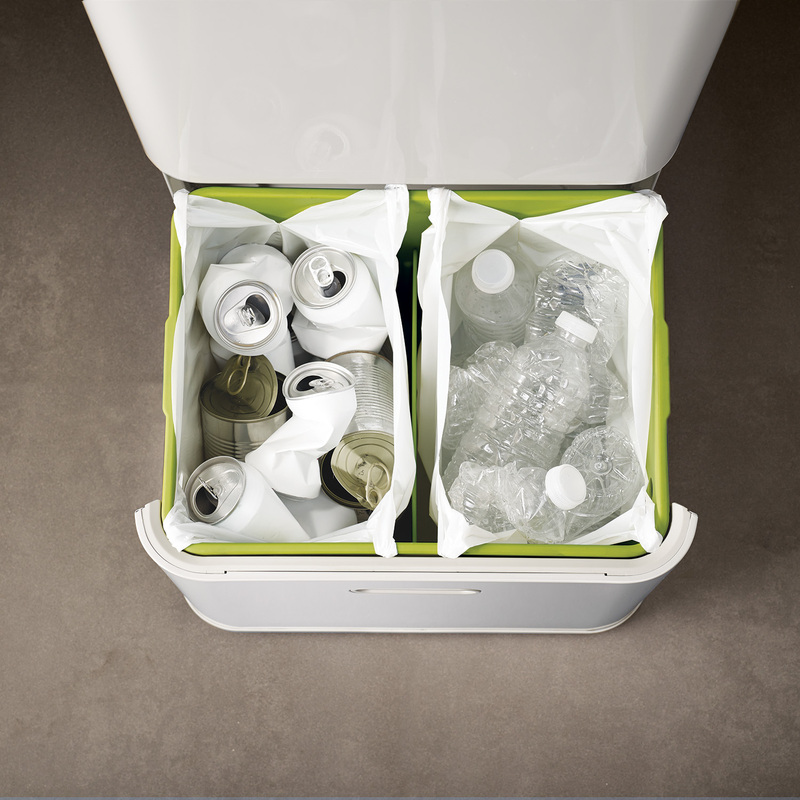 It’s most comfortable to put recycling containers into drawer – you just divert it and throw waste where it must be. 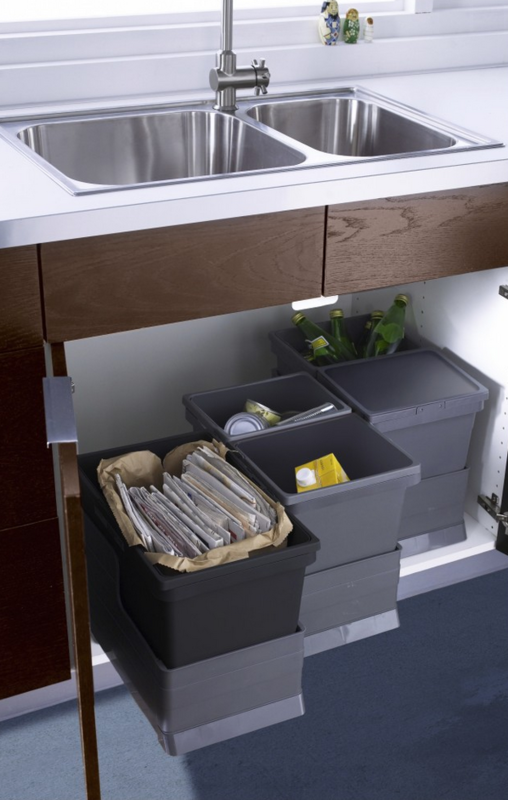 You can also choose other solutions, for example, the ones that you fasten to cabinet doors or hanging containers. While looking for most appropriate solution evaluate how often you throw or give waste – if you like collecting them, you’ll have to look for additional space for larger containers. You can divide those 5 containers per several cabinets. 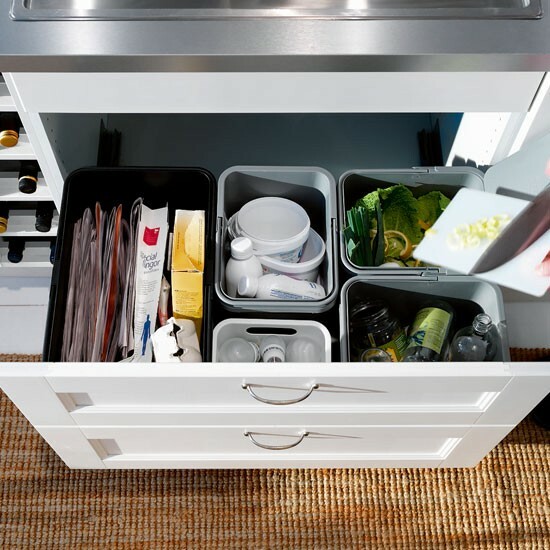 Then 2 -3 or even 4 volumes will fit under the basin and you can put other containers into following drawer. Another solution is to use pantry, “dark room” or balcony. In such case you’ll not have to worry about esthetic view, as you can put everything that doesn’t fit under basin further from guests’ or other family members’ eyes and use the place in a kitchen for other functions. 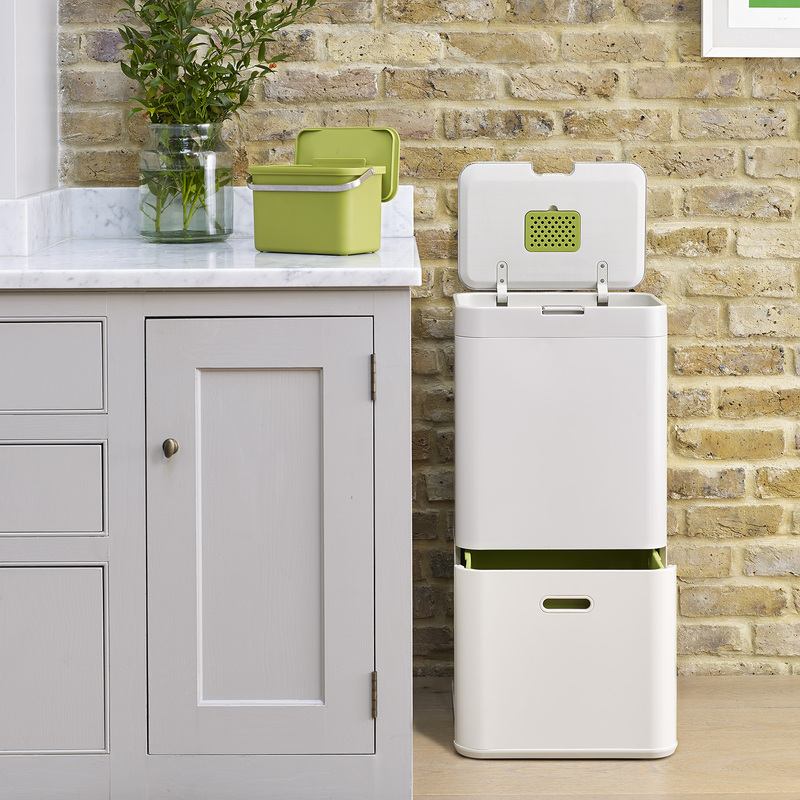 Some furniture and even basin manufacturers also offer recycling containers together with their products what is indeed comfortable. Of course, there’re specialized companies who trade production only for this purpose. 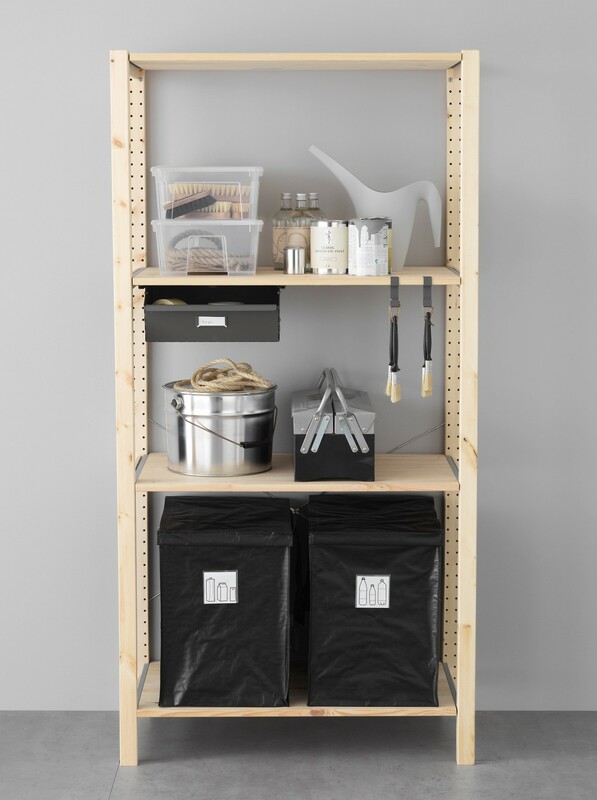 You can find a lot of various containers that you can put to drawers, sacks and bags in a range of recycling goods offered by IKEA. 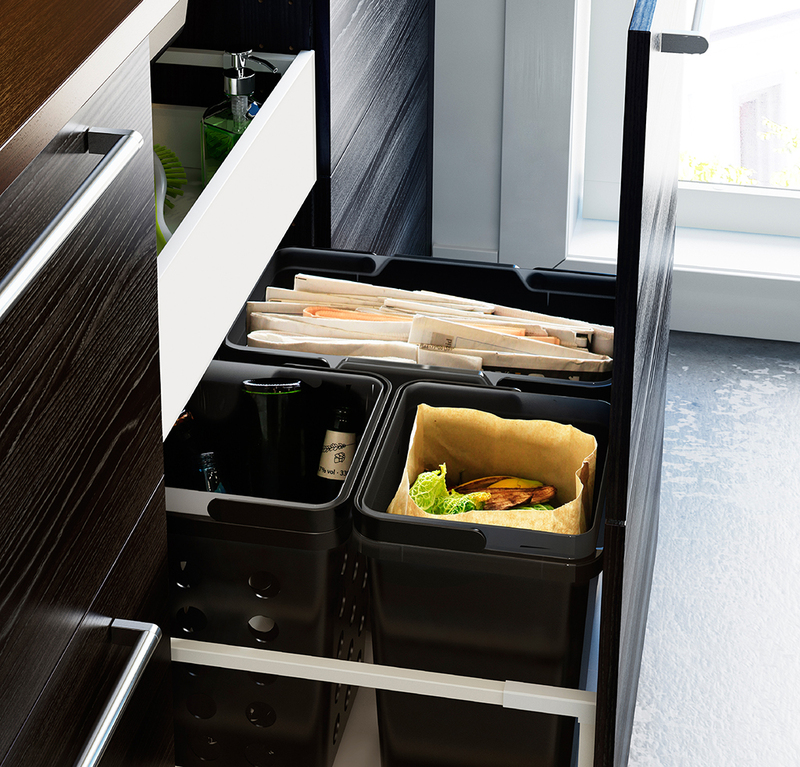 If you don’t have to count each centimeter in a kitchen and additional item will not disturb you can build a special container for recycling which indeed looks esthetically and in this case perfectly fits to an interior. Of course, the cheapest but not the most beautiful way to keep waste is a special stand on wheels for which plastic containers aren’t compulsory – sacks are enough. In addition, an old sack can quickly be changed by a new one. That’s a really good solution for those who save time and money. It doesn’t matter which type you’ll choose, it’d be best to discuss recycling question and determine a special space already in a phase of projecting a kitchen, a flat or a house. 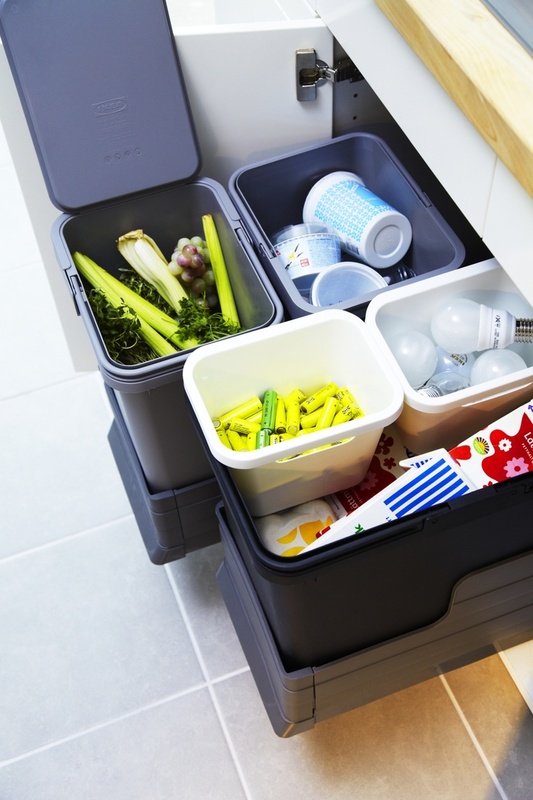 Recycling is a very important everyday part which requires extra space. 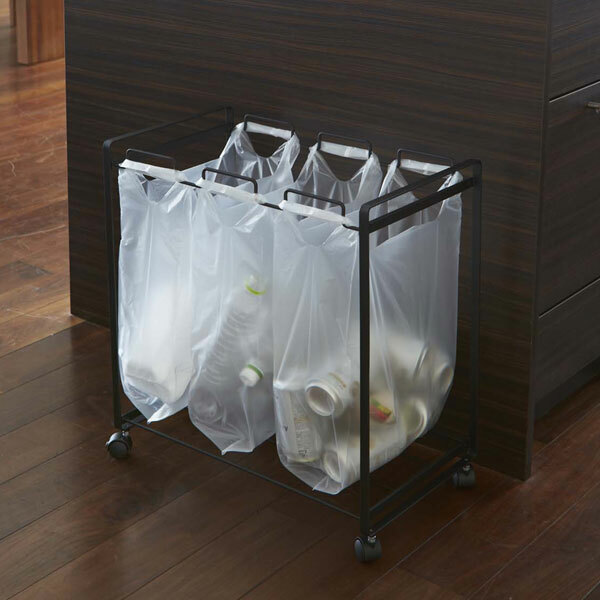 Just think of it as early as possible so that you can avoid trash can in the middle of a kitchen or due to the lack of space wouldn’t have a wish to resist recycling at all. Window in a bathroom. It's better to have one.